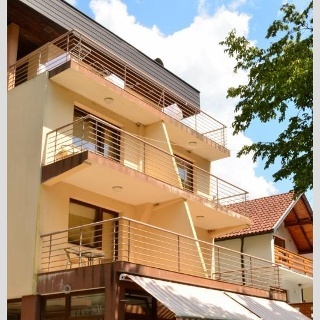 The houses breathe the typical Bosnian atmosphere and modern influences and are very comfortable. Good beds and great bathrooms, lots of light and space contribute to a successful holiday. An important part of the furniture in the lodges are made to own design by local cabinetmakers and carpenters. The wood that is used comes from the area. You’ll encounter the Bosnian tradition repeatedly; in the pillows, the carpets or embroidery. The apartments are located on a wonderful sunny slope, adjacent to the forest . Each house is designed so that the view of the beautiful mountains, the rocks and the lake is unobstructed. Before construction began, the position of the sun and the view were determined. Each house has a terrace with fruit trees planted along. On the terraces you can enjoy reading in peace and enjoy the stunning nature and the magnificent surroundings. In the summer months there are small vegetable gardens where visitors can reap tomatoes, lettuce and other vegetables. This way one feels at home in this beautiful setting. 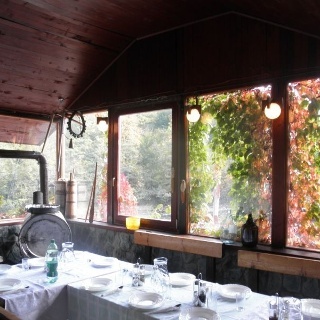 There is a large central kitchen available for the guests below the lodges Mostar and Konjic. Second kitchen is an open kitchen with a fireplace and a barbeque. There is also a small amphitheater, where movies are displayed. 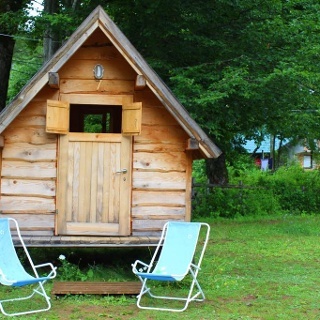 There are several terraces at the property of Herzegovina Lodges where guests can relax. From April to May. Other months on demand. 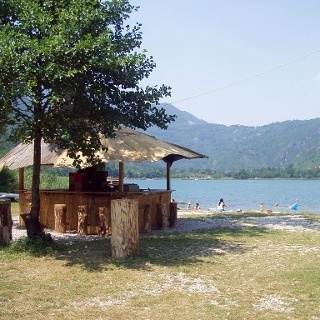 Herzegovina Lodges apartments are located 200 meters away from Boracko Lake. 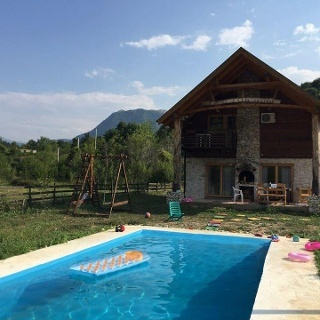 The nearest city is Konjic that is distanced 17 kilometers away from the lodges. 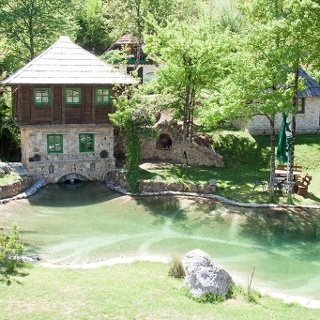 Herzegovina Lodges has a perfect location and is located between the two biggest cities in Bosnia and Herzegovina, Sarajevo (80km) and Mostar (80km). The Adriatic Coast, Split and Dubrovnik, are easy to reach from the lodges. The distances to these two cities are approximately 180 kilometers. Moreover, the Montenegro border is 180 kilometers distanced from the lodges. 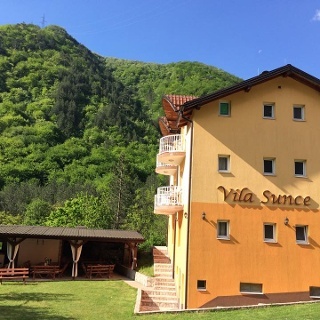 Route from Sarajevo and Mostar to Herzegovina Lodges: You should drive to the small town called Konjic and that is from both places about 60 km. 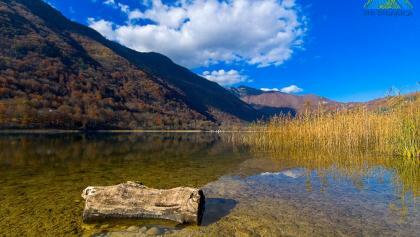 When arrived in Konjic the signs “Boracko jezero” (lake) should be followed. After 10 minutes you will enter a relatively narrow but paved road through the mountains. After a 17 km climb you will see a small gas station where you need to go right. After the first bend you need to turn left and 200 meters further the asphalt stops. You should go through a dirt road along small wooden houses (on the right) and after a few minutes you will see the lodges on your left hand side.